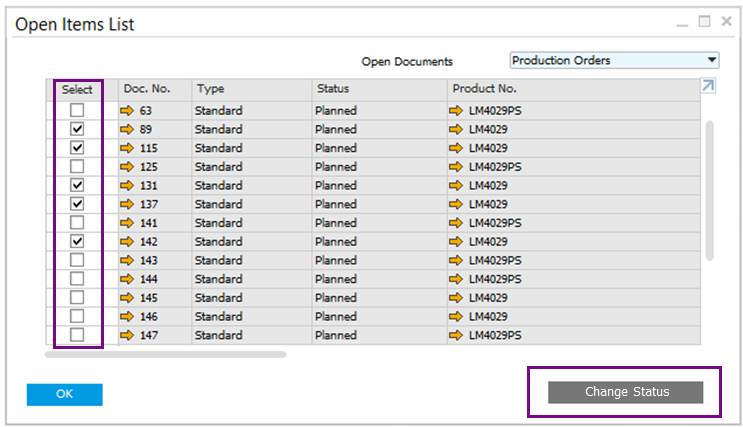 The Open Items List is one of the very first reports in SAP Business One and is commonly used. It’s main goal is to list the open documents, however there are few tasks you can perform directly from within the report that can make your work more efficient. 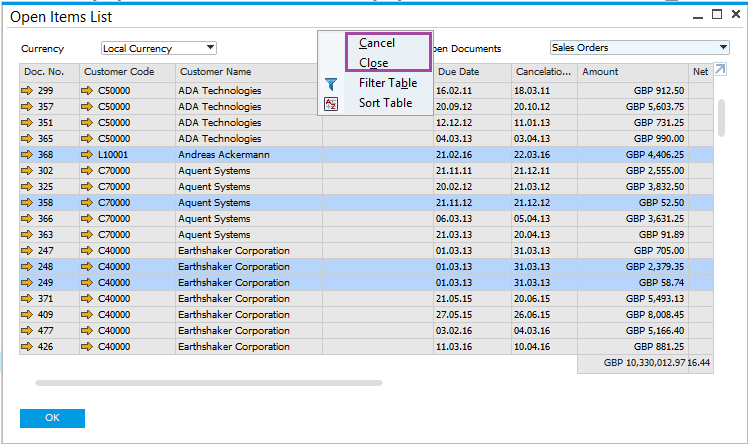 You can cancel and close multiple documents at once by displaying the open documents of the required type, for example Sales Orders, highlight the relevant documents, and from the context menu choose “Cancel” or “Close”. Available in SAP Business One 9.2, version for SAP HANA PL05 and SAP Business One 9.2 PL05. For more information please contact Mark Burt at mburt@d1tech.net.